The lowest price of Samsung Galaxy J7 Pro (Black, 64 GB)(3 GB RAM) was obtained on April 20, 2019 4:39 am. 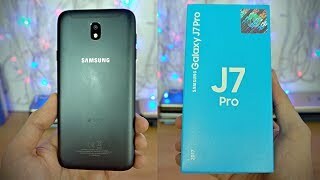 Samsung Galaxy J7 Pro Unboxing & Overview - Pricing Justified? I have brought this phone on very 1st day 1 aug in black colour. Its just superb. Build quality is great. 5.5″ S.Amoled fhd display just amazing. Even there is no OIS, 13mp camera quality is superb. No hanging no heating. Battery give a 1full day usage. Though samsung pay has limited bank card support but upi and paytm support great way. Just swipe up from home screen and pay app ready to work. Narrow basal give stunning look to phone. Always on display is a new future and its add more beauty to phone. Security is much more enhanced in 7.0 nougat. Phone looks more slim and narrow cause of its built. One hand operation is much easy but avoid as its may slippery. Charging time is around 2 to 2.5hrs. Dual apps supported. Giving you 2 photos where taken from running train, by that u will understand camera quality. Irs a raw photos. Other Chinese makers will give you great options in price and h/w, but beli9 me guy’s this brand is far far batter than those. S/w and after sales service which this brand can give that no one can. Yes samsung is charging higher than the market but its give u that quality and service. I am not big brand fan but after used other brand came to this conclusion. Just love this phone. The pricing is a bit high but that’s fine. I already compared it with many phones before buying but didnt enjoy the display and camera, but on this phone its absolutely stunning. Great display,great camera,great battery life(would have been happy if fast charger was provided). And trust me the new UI of samsung has changed the complete experience. The new look of this cell is also pretty cool. Moto g5+ provides 4k recording but if u cant enjoy that video on that kind of display so its of no use. I am guy who loves better camera,better display,gaming without lag and heating(so this phone does the job very well withoutany compromise). Overall this phone is fabulous. I have been using this phone for a week. My review will based on my experience and on comparison with other phones under 30000 category.Pros:1. Superb display. 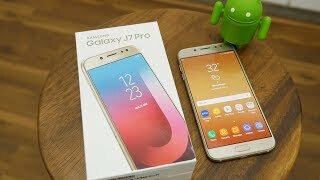 My brother has S7 and frankly speaking, I didn’t notice much difference. It is the best display under 30000/-2. Great battery life3. Camera- It is as good as moto g5 plus or samsung a5(2017). It has the best camera under 25000 category.4. Samsung software – Samsung is the maker of S8. Any software innovations that they do for their flagship phones get passed down to their other phones. Samsung pay is a great feature. Always on display. Overall, very nice experience. Infact, I will say the best experience. I am particularly fond of samaung softwares. Their android customization is better than htc, sony or moto. I am not a big fan of stock anroid.5. Build quality- Best build quality under 30000 hands down.6. 64 gb memory with sd card and dual sim. I like that.Cons:1. No turbo charging. 2-2.5 hours is just too much.2. 3gb ram and slow processor. It is almost as fast as moto g5 plus but because everything else about the phone is so good, I do wish they had put in a better processor and 4gb ram.3. A bit heavy. I don’t know why it is so heavy given its small size.That’s it. Overall, I am quite satisfied.Comparison with moto g5 plus:1. It has a better display than moto g5 plus.2. More internal memory.3. The camera is just as good.4. The software is better because of customizations but because of stock android moto g5 plus may be a bit faster.5. Samsung has better customer service support than moto g5 plus.6. It looks better than moto g5 plus.7. Moto g5 plus has turbo charging.8. Moto g5 plus is 5000/- cheaper. Hello Guys,I purchased this phone on 1st august from offline.Its really …..WOW”…..THE PHONE””ultimate look, Display, build Quality and all configurationIt will feels you like a 30k phone. Detail wise, and rank wise i giving u my review1. Display- Just owsome, Full HD, and also helpful for night view using blue light filter option.(9/10)2. Battery- guys, just ignore those reviews who are taking for not given a fast charging option. I really experience that it will full charged within 1 hour, Good battry backup, u can use it upto 15 hours with using your 4G ( 8/10)3.Camera- the best camera i ever seen after the iphone 7 , 13 mp nd flash with both sides, natural pictures. (10/10)4. Sound- Sound is really good in open and in earphones(9/10)5. Mamory -3gb ram and 64 gb is more than enough for good users. (9/10)finally i would like to say….jst go for it if you want to buy a mobile with 20k budget.. Mobile is good. But processor is not that much fast. I was using motor plus it’s processor was excellent….Net speed was awesome. With same sim in j7 pro things are bit slower…..
Pros:Nice displayGood ram 3 GBGood internal storage 64 GbFingerprint unlock works wellBattery lasts longCons:Though the Processor is good, it is not according to the price of the smartphone.Takes 2.5 hours to chargeSeems to be costly by around Rs 2000/-I don’t click much pictures so can’t give a review of camera. Overall if it’s a nice smartphone and works smoothly without any lag. Superb phone …Superb batterySuperb cameraSuperb displaySuperb designOnly some waightedLoved it………. Great Phone spec are good games are runing smoothly without any issue. Display and camera are also great processor Ex-7870 is not so great but it handle all multiple work smoothly..
J7 pro – has connection problem. And when you use back cover on your mobile, the signal of connection will nil. So without connection what you will do with this.I CAN’T RECOMMEND YOU ALL FOR THE SAME. I have owned the phone. Its a superb model if your budget is 21000. The build quality is very good. Its far better than other chinese product. Whatever you are getting in this phone this is A+ quality. So if you are thinking to buy this phone, don’t think too much. Just get it.